It really does look like the expensive dome camera you see in offices however it does not have the capability of recording a video. It would have been great if it can do that aside from looking like those dome cams. It would have been great if it works the same as the real thing. It works fine actually just not sure how long this fake camera can last as the outer layer seems to be plastic. Well, it's cheap so will just try a different one if this stops working. It definitely looks like the real thing. No one did notice that it is just a replica and it does not do the function of a real surveillance camera. I'm happy. Bought this camera to primarily see how it works and if it's a good alternative over real dome camera that's really expensive. It was good decision. It really looks like the real one and no one can tell if its real or fake. It's really a good security alternative. It do functions like the real thing. It follows you everywhere you move. Awesome. 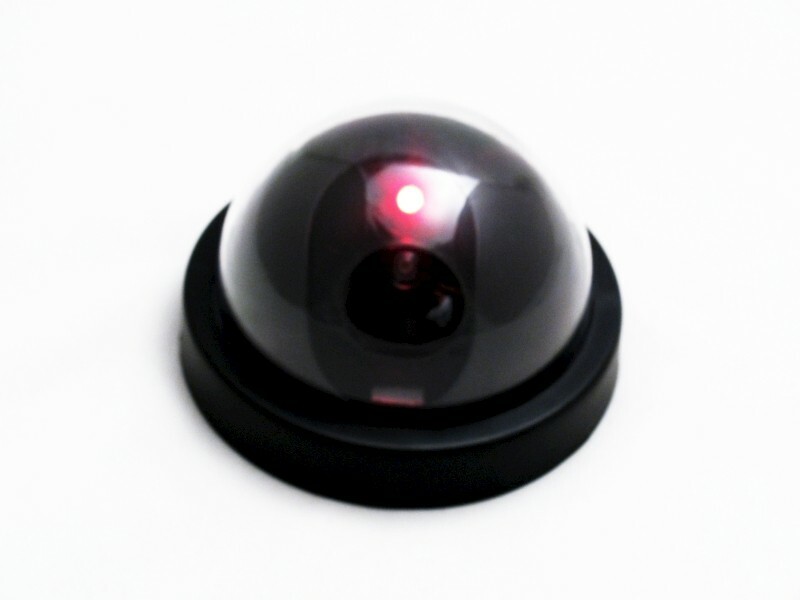 It really looked like the real dome surveillance camera that you see in malls or offices where you can see a red light as it detects movement. Even if its cheap, the exterior is well-built and can't be easily distinguish as a cheap looking surveillance camera imitation. Very easy to use and install, too even for an old guy like me. Exactly looks like the real thing but functions differently. I bought one of this camera since I was curios how it could help secure once home. Mount it on our front porch. Every time someone passes there the camera would follow and that red light would blink just like the real thing. Everyone I know ask about this dummy camera but no one realizes that it does not work like the regular dome cam which is a big advantage for me. i still have the camera mounted. This camera is a great way to deter bad people. I mounted one of this camera in my porch as a security device. The motion detection of the camera is really good. It responds to every movements within its range and shows like its recording although its not. It is also easy to install and works right away. This camera definitely drives the bad people away. The side of my shop often times groups of kids hang out and sometimes do bad things or fight which drove away customers. But, after putting this on those youngsters no longer hangs-out in that area and my customers are slowly coming back. Well, it works like the real one minus some features.